Formerly known as Madras, Chennai is the capital city of the South Indian state of Tamil Nadu. Popularly famed as the 'Cultural capital of South India', it is a prime cultural, economic, commercial as well as an educational center of this region of the country. One of the most important tourist destinations of Southern India, it every year attracts a good number of tourists from all around the world, who want to witness the marriage of traditionalism and contemporary. India Profile, a business venture of Indian Holiday Pvt. Ltd., has to offer you some well-planned Chennai tour packages so that you can explore the best of this cosmopolitan city. India tour itineraries mostly feature a lot of cultural elements and our tours to Chennai are no different. This city has a lot to offer to its visitors including a number of activities such as sightseeing, shopping, fine-dining as well as absorbing the rich culture of South India. Having a flourishing local culture as well as art scene, it can also boast of being a major destination for medical tourism. 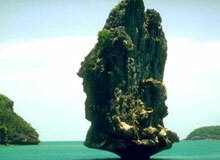 At India Profile, there is a list of some very meticulously tour package to Chennai. You can opt for any as per your liking and budget. This 369-yr-old city is home to a number of attractions, forts, temples, palaces and markets which are a reflection of the rich historical past that lives in a perfect harmony with modernity. India Profile gives you a chance to visit these lovely places in and around Chennai by availing any of the excellent tour packages from Chennai depending on your requirements. A vivacious city like Chennai has been blessed with a long list of tourist attractions including Fort St. George, War Memorials, Thousand Lights Mosque, Santhome Cathedral Basilica, Kapaleeswarar temple, Vivekananda House and much more. You can also indulge in adventure and other interesting activities at the popular beaches like Marina Beach and Covelong Beach. Do not miss shopping at the popular local markets. India Profile, does not only offers you tour package, but take care of other tour and travel arrangements like hotel booking, car rental, flight booking etc. 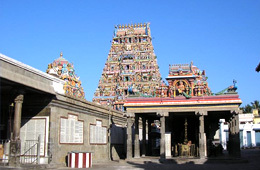 India Profile offers detailed information on tour itineraries for Chennai. We also provide bookings and excellent tour packages for Chennai.